In what’s shaping up to be another record year for auto sales in Canada, Mazda Canada is an outlier. The long-established Japanese brand’s sales volume dropped 1.2 per cent in the first six months of 2016, compared with the same period last year, against an industry average increase of six per cent. It’s a confounding trend given that Mazda’s products get a positive critical reception. Mazda Canada’s top sales executive is not ducking the problem. “You’re right, our numbers have been fairly flat within a market that’s buoyant,” said David Klan, senior director of sales, marketing and regional operations. Klan said 2016 sales are trending to 72,000, compared with about 71,700 last year, down 0.05 per cent from 2014. “On the surface it’s disappointing but there is a strategy that is coming together, being executed in our minds quite well for more long-term sustainable growth,” Klan told Automotive News Canada. One reason for the low numbers was that Mazda eschewed reliance on fleet sales to juice annual growth and focused instead on building a loyal retail customer base among those who appreciate its virtues; driving fun and technological innovation. 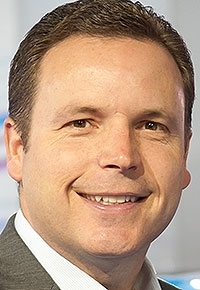 “That’s not consistent with many other brands that on the surface appear to be selling at great volumes and greater year-over-year increases than Mazda is,” said Klan. Mazda has no plans to reassess that approach, he stressed. Mazda is moving to rectify a major strategic oversight; a late realization the shift from passenger cars to crossovers and SUVs is permanent. Signs were already there last year, when Mazda’s car sales dropped 18.2 per cent while light trucks rose 41 per cent. Its volume seller, the compact Mazda3, fell 15 per cent last year and a further 23.5 per cent so far 2016. “Until recently we’ve been too reliant on passenger cars only, whereas the market has dramatically shifted to all light-truck segments of the business,” said Klan. It’s dropped the subcompact Mazda2 from the lineup and is focusing on its CX crossover line, including a new version of the seven-seat CX-9. Meanwhile, said Klan, the CX-5 is gaining market-share and the compact CX-3 is No. 1 in Quebec, No. 2 nationally. “This will be the first year only that we’re going to sell at least 50 per cent of light trucks through our CX series of vehicles,” he said. Meanwhile, Mazda plans to invest heavily to move remaining 2016 Mazda3s and plans to “dramatically improve” the competitive position of the refreshed 2017 model by repositioning the car “to significantly improve the value proposition,” said Klan without elaborating. All this will be backed by the highest level of advertising and marketing push Mazda has ever made in the Canadian market, he said.